At the November 12, 2018 work session, the Hall County Board of Education gave unanimous approval to Superintendent Will Schofield’s recommendations for the next principals at Lula Elementary School and South Hall Middle School: Lynette Scheman for Lula and Joey Millwood for South Hall. Both schools have upcoming vacancies as a result of retirement announcements from current principals. Lula Principal Theresa London had announced that she would be leaving the district on November 16, 2018, and South Hall Principal Paula Stubbs had announced December 28, 2018 as her retirement date. Lynette Scheman began with the Hall County School District (HCSD) in 2001, teaching 1st grade at McEver Elementary. After that first year, she transferred to Jones Elementary School as instructional coach. In 2004, Scheman moved to her current school–Lanier Elementary, serving first as a 5th grade teacher; later, she added the additional duties as instructional extension administrator. During this time, she created a student mentor/tutor program with Chestatee High School. Scheman came to her current positon as Lanier Elementary Assistant Principal in 2013. 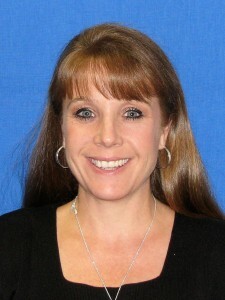 Lynette Scheman received her Bachelor Degree in Elementary Education from Southern Illinois University in 1991. She earned her Masters Degree in Administration/Leadership from the University of Phoenix in 2004. Lynette Scheman and her husband Nick Scheman, an assistant principal at Chestatee High School, have two children in college—Joseph Scheman and Allison Scheman. Joey Millwood began his career in education in 1997 as a science/history teacher at South Hall. 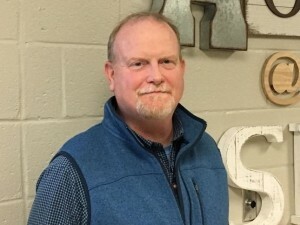 During this period, he was named South Hall Middle School Teacher of the Year. Then, in 2000, he resigned from the district to accept a position at Eagle Ranch in Chestnut Mountain. Millwood returned to the Hall County School District in 2005, accepting a position as instructional coach at South Hall Middle School. Finally, beginning in 2007 and continuing to the present, he has served as assistant principal at the school. Joey Millwood received a Bachelor of Science in Middle Grades Education from Brenau University in 1998. In 2006, he earned his Masters Degree from the University of North Georgia (UNG). He added a Specialist in Education Leadership from UNG in 2008. Joey Millwood is married to Jane Millwood, a Special Education teacher in the district. Joey and Jane have 3 children—Rachel, Morgan, and Drew Millwood—and 2 grandchildren—Harper and Maren Millwoood.